The United States Supreme Court unanimously ruled today that an approved jurisdictional determination from the U.S. Army Corps of Engineers finding that property contains “waters of the United States” is “final agency action” subject to judicial review. This is a big victory for landowners throughout the country. Justice Roberts wrote the opinion for the Court. It was joined by all but Justice Ginsburg, who also concurred in the judgment, but wrote a separate concurring opinion. Justice Kennedy, joined by Justices Thomas and Alito, joined the Court’s opinion in full, but also wrote a separate concurring opinion, as did Justice Kagan. The Court’s opinion was straightforward. The Court ruled that the JD was (1) final agency action and that (2) there were not adequate alternatives for challenging it in court. These are the prerequisites for judicial review of agency action set forth in 5 U.S.C. § 704 of the Administrative Procedures Act (APA). To first determine that the JD was final agency action, the Court analyzed the Bennett factors,[iv] finding (1) that the JD marked the consummation of the agency’s decision-making process and (2) that the action was one from which legal consequences will flow. Roberts also noted that under a longstanding memorandum of agreement[v] between the Corps and the EPA, the JD will be “binding on the Government and represent the Government’s position in any subsequent federal action or litigation concerning that final determination.” Thus, a negative JD (finding that a tract of land does not contain jurisdictional waters) represents a five-year safe harbor for landowners wishing to dredge or fill on that tract. Conversely, an affirmative JD deprives landowners of a five-year safe harbor and warns them that if they discharge pollutants into their property without the proper permits, they do so at the risk of significant criminal and civil penalties. Justice Roberts then found that there were no adequate alternatives to APA review in court. Neither of the Corps’ two suggested alternatives was sufficient in the Court’s opinion: (1) discharge fill without a permit and risk an enforcement action (then argue that a permit was not required) or (2) apply for a permit and seek judicial review if dissatisfied with the results. The Court noted the risk of serious criminal and/or civil penalties that could flow from the Corps’ posited alternatives. Civil penalties, alone, could rise to $37,500 per day of continuing violation and the permitting process was “arduous, expensive, and long.” Earlier in the opinion, Justice Roberts referenced a study finding that the average applicant for a permit of the type sought by the landowners in this case spent 788 days and $271,596 completing the process, “not counting the costs of mitigation and design changes.” The landowners estimated that the hydrogeologic assessment and functional/resource assessments alone would cost more than $100,000. But, after today, landowners are assured that they do have the right to challenge a final JD without having to obtain a permit decision first, whether or not the agencies' Clean Water Rule ultimately remains on the books. [i] Under the Clean Water Act, a landowner cannot discharge dredged or fill material into “waters of the United States” without obtaining a permit from the Corps. These Section 404 permits are costly and time consuming. In fact, Justice Scalia once stated that the average applicant for an individual Corps permit “spends 788 days and $271,596 in completing the process.”[ii] The permit, however, is necessary, to avoid substantial monetary penalties and perhaps jail sentences for dredging and filling a known “waters of the United States.” If a landowner knowingly conducts prohibited activity on wetlands meeting the arguably ambiguous definition of a “waters of the United States,” he could face penalties in excess of $75,000 per day. These fines and penalties are possible even if the landowner did not believe the wetland to be jurisdictional. At the very least, the Corps will issue a compliance order. 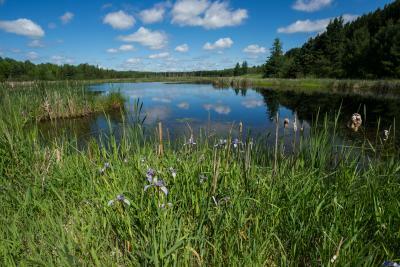 The landowner could also give up his fight and cede his wetlands to a reserve program. [ii] Corps regulations allow a landowner to request a JD from the agency. Once such a determination is requested, the Corps offers its opinion as to whether a wetland (or other waterbody) is a “waters of the United States.” A JD is not required before a landowner can discharge dredged or fill material into a wetland. And, according to the Corps, if a landowner is later found to have violated the CWA, the prior existence of a JD does not expose the landowner to additional penalties. [iii] In contrast to the Eighth Circuit, two other Courts of Appeals earlier ruled that JDs were not subject to judicial review. Belle Co., LLC v. U.S. Army Corps of Eng'rs, 761 F.3d 383 (5th Cir.2014), cert. denied, 83 U.S.L.W. 3291 (U.S. Mar. 23, 2015); Fairbanks N. Star Borough v. U.S. Army Corps of Eng'rs, 543 F.3d 586 (9th Cir.2008). [iv] Bennett v. Spear, 520 U.S. 154 (1997). [v] In her short concurring opinion, Justice Ginsburg (while concurring in the judgment) expressed her disagreement with relying on this memorandum of agreement. She pointed out that the Government did not share the Court’s reading of the memorandum, stating in oral argument that it was not current governmental policy that JDs had a binding effect in litigation. On the other hand, Justice Kagan, in her short concurrence, wrote separately to express that for her, the memorandum of agreement between the Corps and the EPA was central to the disposition of the case. [vi] Clean Water Rule: Definition of “Waters of the United States,” 80 Fed. Reg. 37054, 37055-37056.